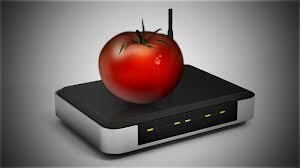 Tomato routers can be configured to be used with a VPN connection, which support both OpenVPN and PPTP protocols. An OpenVPN protocol offers more security as compared to the PPTP protocol, but not every VPN provider delivers a dedicated client to be used with this service. So, a manual guide is provided below to configure the device to be used with your OpenVPN service. Before beginning with the configuration process, you need to download the configuration file for your VPN service. This file contains many values that you need to use for configuring your device. After getting the file, open your internet browser and enter the address 192.168.1.1 to open the device settings and enter the log in credentials to, if prompted for. On the left side menu, click on the option ‘VPN tunneling’ and then select the ‘OpenVPN client’ from the sub menu opened. This will open up a form to be filled with configuration settings. On the form, select the ‘basic’option and fill in the desired values for the different fields as required. Check the box to enable ‘start with WAN’ option. Select the ‘interface type’ as TUN and the ‘Protocol’ according to the configuration file available to you. In the next field labeled ‘Server Address/Port’ enter the address of the server, which you wish to connect to, in the first field and then the value of port in the second box. You will get both these values in the configuration file. Now, set the ‘firewall’ option to ‘Automatic’, the ‘Authorization mode’ to ‘TLS’ and leave the checkbox for ‘Username/Password Authentication’ unchecked. Next, select the value ‘Outgoing (1)’ for ‘Extra HMAC Authorization’ and enable the ‘Create NAT on tunnel’ option. Now, click on the ‘save’ button to save these settings. Click on the ‘Advanced’ tab to open the next settings, where you need to enter ‘0’ for ‘Poll Interval’ and enable the ’Redirect Internet Traffic’ option. Set the ‘Accept DNS configuration’ value to ‘exclusive’, ‘encryption cypher’ to ‘use default’ and ‘compression’ to the value according to the configuration file. Enter the value ‘-1’ for both ‘TLS regeneration time’ and ‘connection retry’ fields and leave the ‘verify server certificate’ option unchecked. In the ‘custom configuration’ field, enter the values of the fragment, mssfix and MTU, initialized with ‘fragment’, ‘mssfix’ and ‘tun-mtu’ respectively in the configuration file. Click on the ‘save’ button to save these ‘Advanced’ settings. Now click on the ‘keys’ option and enter the values of keys from the configuration file in the respective fields. In the ‘static key’ field, enter the value between <tls-auth> tags in the configuration file. In the ‘certificate authority’ field, paste the value from <ca> tags in the configuration file. For ‘client certificate’ and ‘client key’ fields, copy the values from <cert> and <key> tags in the configuration file and click on the ‘save’ button to save all the changes. Now click on ‘start now’ button to establish the connection to the server and click on the ‘status’ option to check the connection status. Thus, the above guide helps you configure your Tomato router to connect your devices to an OpenVPN connection through it.